Berlin has an extensive public transport system that is closely interconnected. Usually, when arriving at a station, you have enough time to reach the next connection - but you should plan in advance, as you will not have time to study maps if you want to catch the first transport that arrives to the connection. 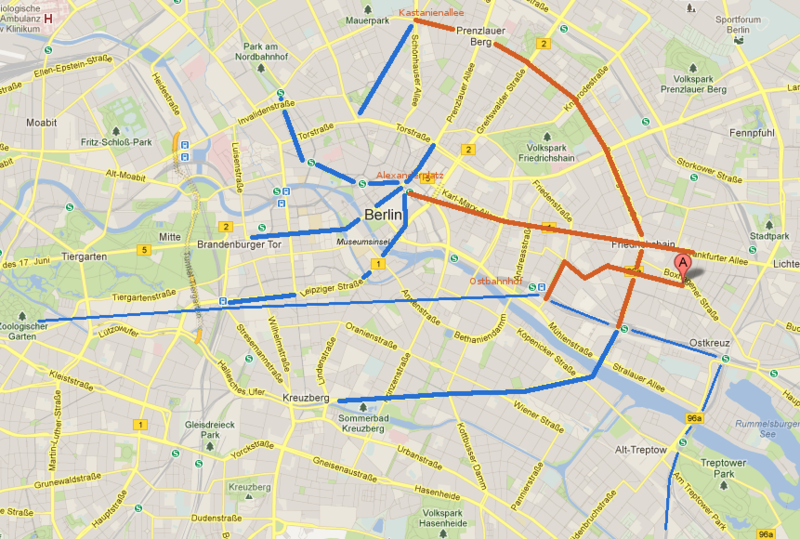 In order to make your planning, you can consult the website of the public transport BVG in Berlin. Our apartments are well connected to the public transport system. In orange we show the places you can reach without changes. The blue lines indicate the places you can reach changing only once. Web site and all contents © Copyright Wohnungen Berlin Am Boxi. Oliver Strunk 2008-2015, All rights reserved.